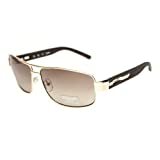 Let your true personality shine through with these stylish GU6714 GLD-33A sunglasses by Guess. 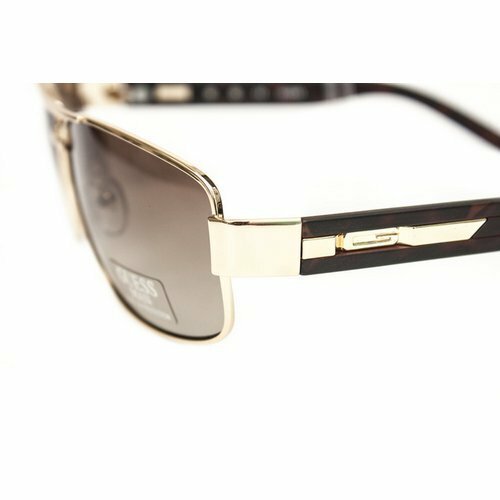 The gradient brown lenses keep you looking fashionable while offering optimum protection from harmful rays and extreme light brightness, and the fitted gold metal frames ensure premium comfort and utility. 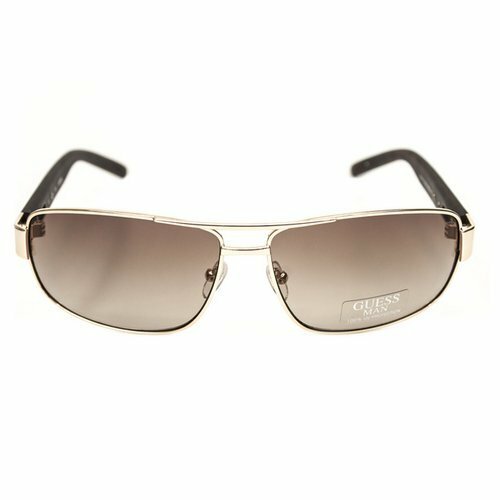 With a unique rectangle frame shape and overall contemporary design, these Guess sunglasses are perfect for those who want to cut through glare and look good doing it.